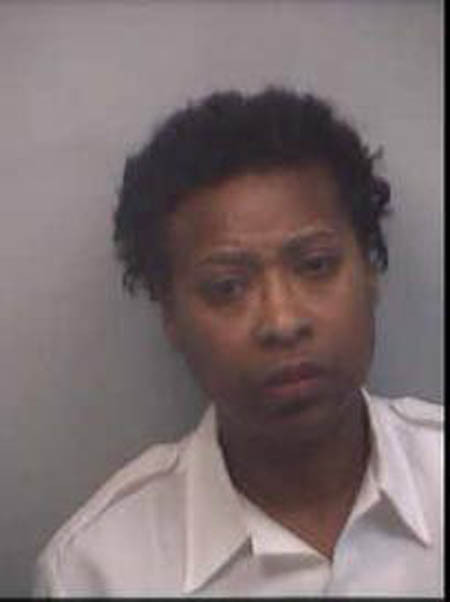 MARTA bus driver Belinda McMillan was arrested and charged with reckless conduct after being accused of dragging a 62-year-old woman– Lettie Robinson who was just trying to get off her bus this past Sunday night. According to Atlanta Police, Miss Robinson was exiting MARTA bus 2977 on route 51 at about 8:30 p.m,when her pocketbook got stuck inside the bus. The MARTA bus driver continued driving while dragging her approximately 63 feet. Witnesses driving by on the road reported that they saw Miss Robinson being dragged and drove their car in front of the bus to block it. That’s when the bus driver allegedly stopped and opened the door. Atlanta police reported that “The victim fell to the ground and rolled in front of the bus. . The MARTA bus driver drove around the victim and left the scene.” The Police apprehended the bus driver at the West Lake MARTA station. Sixty two year old Miss Lettie Robinson sustained a broken arm and cuts on her head and legs—especially traumatic as Miss Robinson already requires a walker to get around due to a spinal condition. She was taken to Grady Memorial Hospital in Downtown Atlanta. 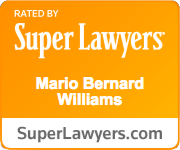 Under Georgia law, a single act of negligence is sufficient to establish liability. General Seat and Back Manufacturing Co., v. Bergeron and Sons, Inc., 91 Ga. App. 431, (1955). When an individual is operating a motor vehicle upon the public streets and highways of Georgia, he is bound to exercise ordinary and vigilant care to avoid injuries to persons lawfully using the streets and highways; and one who injures another because of failure to exercise ordinary care and diligence in the operation of a motor vehicle may be liable for damages to the person injured. Merriwether Co. v. Creamer, 146 Ga. App. 651 (2d. ), 247 S. E 2d. 178, 180-181 (1978). Based on the evidence thus far, it appears that Miss Robinson has a very strong case against MARTA for the injuries she sustained due to the failure of this common carrier to meet their duty of extraordinary care. It is our hope that all injured Georgians are able to obtain good competent legal representation to assist them. During times like this, it is important for injured persons in Georgia to find an attorney who can immediately protect their best interests as various expiration deadlines exist in legal matters. Injured persons should know that it is illegal for attorneys (other than those who are personal friends and family members) to have themselves or someone else on their behalf solicit the injured in person by contacting them directly (known as “direct personal contact”) or by calling them on the telephone (“live telephone contact.”) See Georgia Rules of Professional Conduct 7.3. If you or your loved one has been injured or killed, make sure that you find an ethical attorney who complies with the Georgia Professional Rules of Conduct and has not sent a “runner” on their behalf to solicit you during your time of loss or hardship. If you have been illegally solicited by an attorney or a “runner” consider using another attorney and reporting such conduct to the State Bar of Georgia at 1-800-334-6865.